Its universal design makes it available to work with all Garmin Nuvi. Nuvi 200, 200w, 205, 205w, 250, 250w, 255, 255w, 260, 260w, 265T, 265WT, 270, 275T, 285WT, 295W, 300, 300T, 310. It is mini-sized and firm structured. Includes an ingenious fork stem motorcycle base and double socket arm. The fork stem base is one of the cleanest ways to mount small electronics on your motorcycle. Simply slide the assembly into the hole of the stem and tighten the machine screw to create a tight fit. Remove protective film from the bottom of cupule. - Berg cupule of foot set on the windshield or dashboard. - Never lose your way. Just stick the mount to your windshield with the suction cup and lock it in place. Forerunner 310XT. Forerunner 910XT. Buy this Cycling Garmin Forerunner Bike Mount for the ULTIMATE PERFORMANCE. Forerunner 110. Forerunner 210. Forerunner 405. Forerunner 405CX. Forerunner 410. Product Standard: Qi. Qi standard wireless charging magnetic support bracket. With a strong clamp, you can clip this magnetic car mount to your air vent with ease. Providing adequate friction while protecting your device from scratches. Securely mount your device in your vehicle with this universal car mount holder. Adjustable base could be expended to fit most cup holders. 1x Car Holder. Lock knob and fast release button makes repositioning a breeze. Suunto Watches: Suunto 9, Suunto 3, Suunto Spartan Series, Suunto Ambit Ambit3, Suunto Traverse Series. Suunto Core Series, Suunto Kailash Series, Suunto Essential Series. New Bicycle Mount Kit For Garmin Forerunner Sport Watch. Now you can keep your device close to you and at a convenient view. 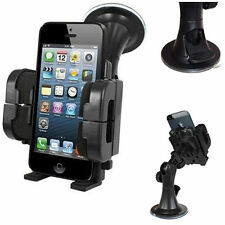 Universal Car Mount Adjustable Gooseneck Cup Holder Cradle for iPhone. The top portion of the mount will turn/lock in different positions 360 degrees. Insert your smartphone, adjust up and down, tilt, and rotate 360-degrees with one hand for safer driving. Product type:CD Slot Phone Holder Mount. Can be installed on any front loading CD player slot. Car Phone Adjustable Cradle For IPhone Samsung S10 Plus LG Cell Cup Mount Holder. Securely mount your device in your vehicle with this universal car mount holder. Adjustable base could be expended to fit most cup holders. 1 Car Non-slip Dash Mat. This sticky pad can be used in your car to hold the smartphones for you. No adhesive or magnet needed and can be place in your car, truck, SUV, boat or airplane. Note: The real color of the item may be slightly different from the pictures shown on website caused by many factors such as brightness of your monitor and light brightness. Suction Cup Mount holder for Garmin nuvi 3750 3760LMT 3760T 3790LMT 3790T. Garmin nuvi 3760LMT. Garmin nuvi 3790LMT. Garmin nuvi 3760T. Garmin nuvi 3750. Garmin nuvi 3790T. Compatible products. Suction Cup Mount holder for Garmin nuvi 2300 2300LM 2350 2350LMT 2350LT etc. Garmin nuvi® 2300 2300LM. Compatible products Quantity: 2 pcs. 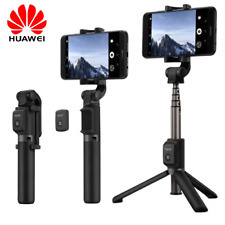 Support universal smartphone. Compatible for SRAM GUB FOURIERS or Bryton and etc Mount. 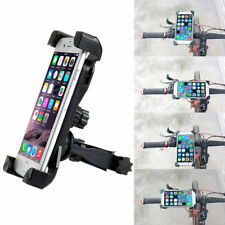 1 x Bike Phone Stick Mount. The surface to adhesive to the adapter should be flat for a better using performance of product.